Chatham Home is family owned and operated. Faith (the mom) is the official owner and Hope (the daughter) is the award winning interior designer. Together they run the day-to-day operations of the business, merchandise selection, marketing, product presentation, and create the inspiring and relaxing ambiance. Our philosophy on buying furniture: make the experience memorable and enjoyable. At Chatham Home we leave you alone to browse unless you have questions or just need another opinion. 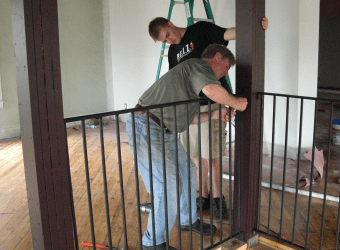 Christian (the dad) handles the behind-the-scenes work such as designing and creating original furniture, repairing furniture, restocking the store and other odd jobs. Alex (the son) handles all of our IT needs including creating our web site and maintaining our server. An extended family member, Mike, travels the world looking for our exotic and one of a kind selections. Mike began his home furnishings business 20 years ago on the East Coast and has been our constant inspiration and mentor. Our journey began over 20 years ago when a relative of ours, Mike, began his own company selling clothing called Exotic Threads… which morphed into gift items and became Exotic Cargo… which morphed into home furnishings and accessories and finally became Exotic Home. We have followed his progress and admired his ideas over the many years. Every time we visited his stores we were so excited by his latest product, we wished we could redo our entire home. As an avid and fearless traveler, he constantly combs the world for unique, quality craftsmanship and inspiring one of a kind pieces. In 2006, we began discussing the idea of bringing Mike’s concept of “direct from the craftsman” to Indianapolis. Like our own family, Indiana customers were seeking the natural beauty and durability of solid wood furniture and unique home accessories at affordable prices. 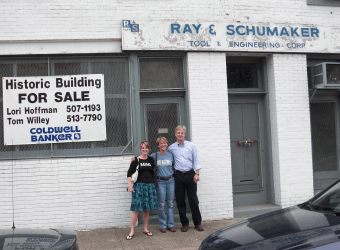 Four years later we discovered the perfect home for our ideas in the historic Chatham Arch neighborhood anchored by the progressive Mass Ave. retail and residential area in downtown Indianapolis. Next began the long process of renovating the historic industrial building that once housed a thriving tool and die engineering site for three generations. 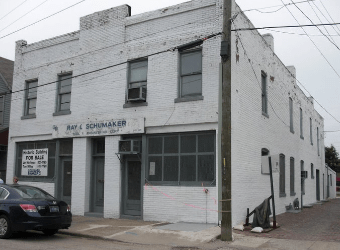 The Schumaker family had taken amazing care of this 1900s building but it was hardly suited for its new and very different use. Our renovation included tearing out all existing plaster and lathe walls, both staircases, the bathroom, electrical and plumbing, and just about everything except the original brick walls, flooring, and incredibly solid internal structural elements. Once we had the core elements preserved and the historical beauty exposed, we then had to adapt it to enhance our hand selected home décor products. Hope set her interior design skills to work and added interior venues to display furniture in natural room settings while preserving the industrial history of this unique building. We also redesigned the main staircase in an open design to connect the first and second floor showroom experience. Ten months later in August of 2011 we opened our doors for Indy’s first unique furniture shopping experience. Faith was a career mom who enjoyed being an artist and renovating vintage properties on the side before moving to Indy in 1997. 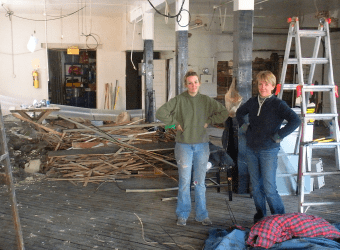 She teamed up with her daughter Hope to renovate several older homes in Indianapolis and Bloomington gaining a ton of knowledge that aided them in the renovation of their first industrial building. Faith has a degree in business from the College of William and Mary, which she puts to use handling the stores accounting and business affairs. In her spare time she maintains her artist skills crafting handmade pewter picture frames, jewelry and household items using the trade name, Vintage Pewter, which complement the local Indy craftsmanship lines offered by Chatham Home. Hope graduated with a degree in Interior Design from IU, Bloomington. She has had a special interest in historic preservation, which led to a mother-daughter hands-on renovation team reclaiming several older homes in Bloomington and Indianapolis. 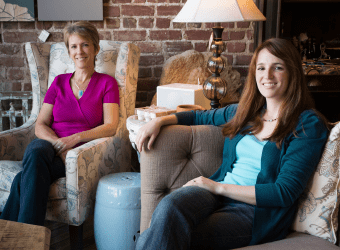 Helping create Chatham Home allowed her to develop the total home design, decorating, and furniture shopping experience from product selection to customer delivery. Hope also handles all of the marketing duties such as running the Facebook and Twitter accounts, writing the monthly e-mails as well as other social media duties. One of her favorite store duties is finding new and interesting accessories and gifts at reasonable if not amazing prices. She looks forward to each buying trip with anticipation. In her spare time she fuels her paper obsession by turning interesting bits of paper and other upcycled scraps into wearable art under the name Hope Designs. Alex is the family IT guru….what family can survive these days without one? Although Alex’s primary focus is graduating from IUPUI in 2016, he also is our sole IT specialist. He is a genius at computers and has built our server and website from scratch, set up all of our business systems including our wireless sound system, point of sale system, and security systems. He also begrudgingly helps restock the sales floor on the weekends with his Dad. Joel was dating Hope when the furniture store idea became a reality and has helped out with every step of the process. This includes the renovation (he almost singlehandedly pulled down the upstairs plaster and lathe ceiling in one day), stocking and restocking the store, filling in on the sales floor and offering his own unique vision to the items selected for the store. He must really enjoy the abuse or love Hope because he also proposed and married her in the same year the store opened. They are continuing the tradition of historic restoration through their own project converting a historic church into a family home.